When you travel to places where it’s not easy to get around by public transportation, you may want to rent a car. It should be a simple process to book your rental car, but you need to be careful. There are various rental car charges that you need to understand. 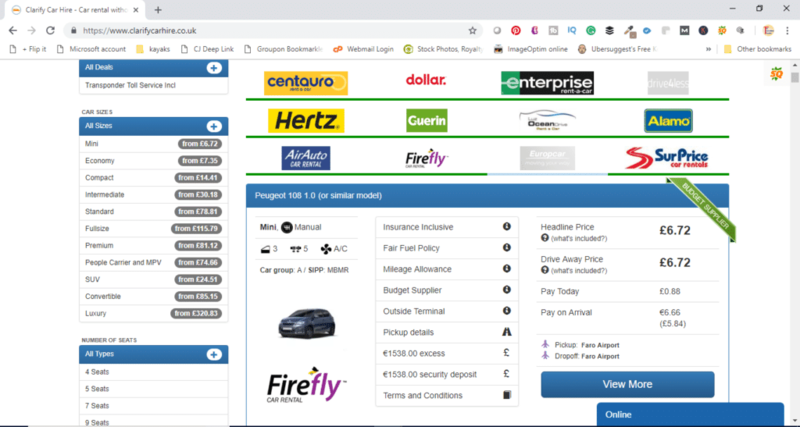 In some cases, when you are booking your rental car online, it can be difficult to know what is included and what is not. That’s why I like Clarify Car Hire, they are working to eliminate car rental confusion. When you search for a rental car with them, you get the full picture of what you are paying for. 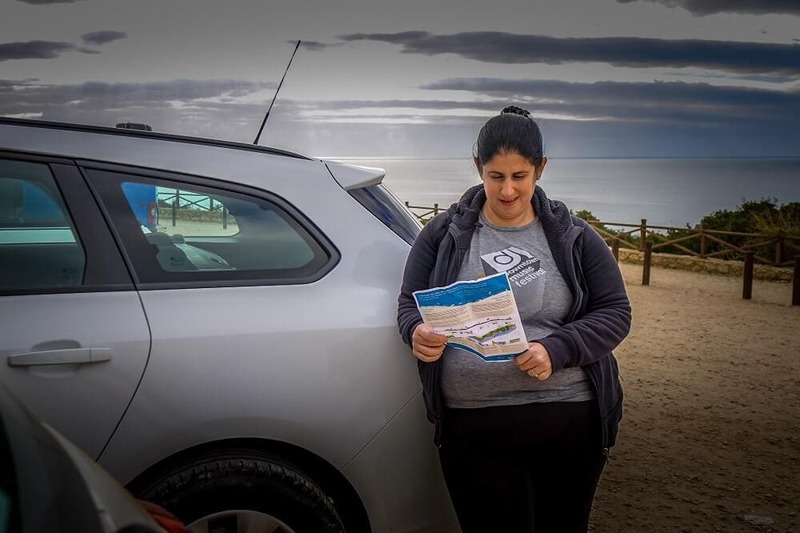 Let me tell you more about why I think Clarify Car Hire is the best place to book your rental car and give you some tips for renting a car when you travel. 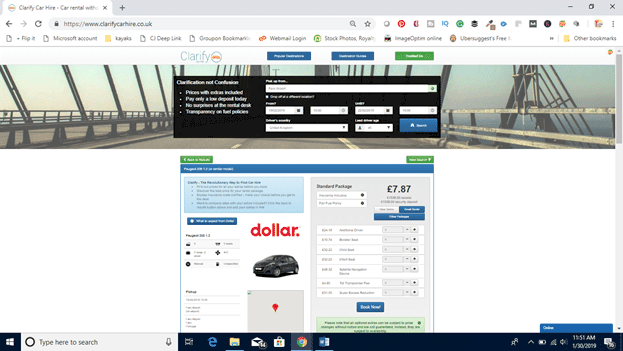 Do You Get a Good Price on Clarify Car Hire? I am sure you have experienced upselling at the Rental Car Counter. They want you to purchase the additional insurance, prepay for gas, or upgrade to a nicer vehicle. Sometimes you learn that something you thought you paid for is not included. It can be a stressful situation, especially with pushy car rental agents. I have been there many times and all I want to do is get my car and get on with my vacation. The last thing I want to do is read additional small print or have an argument. It is easy to be confused into purchasing something you don’t need. With Clarify Car Hire you don’t have to worry about this because you can make sure you included everything when you booked your rental. You may be wondering what should I make sure is included when I book a rental car online? Unfortunately, there is no right answer. It depends on your preferences and situation. Let’s take a look at some of the things you should consider. The importance of car insurance for rental cars cannot be underestimated. Like other types of insurance, it can be complicated. First, you need to understand what kind of coverage you already have from other policies. You may already have some rental car insurance coverage through your credit card (if you use that credit card to book the rental car), through your own car insurance, or through travel insurance. You need to understand what this coverage is. Does it apply to the country (countries) you will be visiting? What does it cover (e.g. other drivers, tires, towing etc)? Is there a deductible (or excess)? If you are not sure about any of these questions, I would recommend picking up the phone and asking the insurance provider. It can be complicated but they should be able to help you understand it. Once you know what you already have you need to figure out if you need more insurance. I am quite risk-averse so I don’t want to have a large deductible. If it’s not too expensive, I want to have total peace of mind. You may be ok with a high excess which is fine. It’s just important to know what you are getting yourself into. When you book a rental car there might be several insurance options to choose from and it can be hard to find out some of the details you need to pick the right one. With Clarify Car Hire, the information is there when you search for your car. You can also add insurance to your car rental at reasonable rates. I will explain more when I walk you through the rental car booking process with Clarify. I have read stories about car rental companies claiming damage when there isn’t any or when it was there before you picked up the car. Always make sure you look over the car carefully and document any scratches, dents, etc. For me, it’s easiest to snap a picture with my phone. Most car rental companies will give you a copy of the page showing the condition of the car, make sure you keep it for future reference. Some car rental places try to make money on the gas. They have the option to purchase a full tank of gas at a higher price as a convenience so that you don’t have to worry about filling up before you return the car. I can see the temptation because it is easier, but it is a waste of money. Every airport where I have rented a car always has at least one gas station close by. Even though these gas stations close to the airport are expensive, it is still cheaper to fill up on your own. Additionally, this pre-paid gas option requires you to pay for a full tank of gas regardless of how much you have used. I am guessing in most cases you will not be returning the car with an empty tank. Some people may feel like the hassle of filling up the car before returning it is too much or know they’re going to be tight on time and are happy to pay for the convenience. That’s fine, just make sure you understand what you are paying for. I often wonder how we survived before the invention of GPS! With most car rentals, you have the option to add a GPS device to help with navigation. This can be expensive especially if you are renting the car for several days or more. Instead, I recommend that you download google maps on your phone before leaving home for the areas that you are traveling too. Then you can use your phone to navigate even if you don’t have a signal. It also helps you avoid any roaming charges. Car rentals usually come with unlimited mileage but if you plan on doing a lot of driving it is definitely something you should check especially if you are usually a budget car rental option. If you are planning on driving the car across an international border, you need to make sure that is allowed by both the car rental company and any insurance companies that are involved. Sometimes there will be an additional charge and other times it may be prohibited. 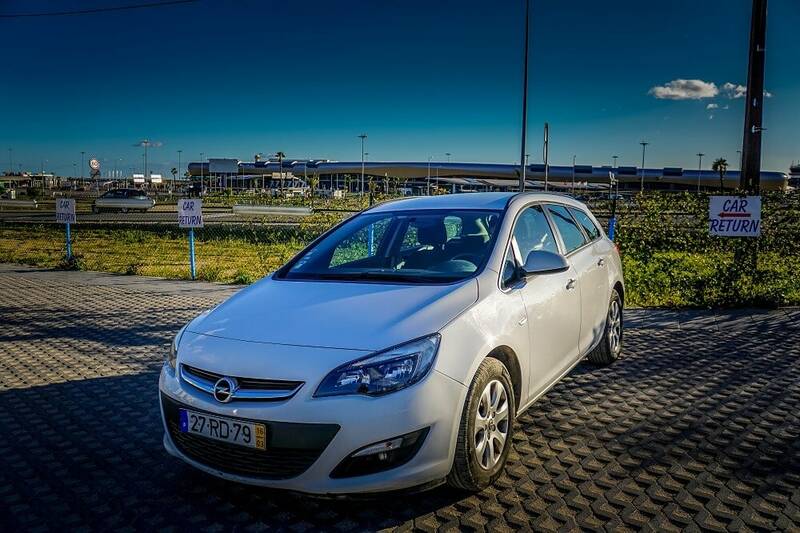 Let me walk you through the process of booking a rental car on Clarify Car Hire. Similar to other car rental booking sites, the first thing you need to do when you want to use Clarify Car Hire is to enter your basic trip information. This includes pick up and drop off locations, the length of your rental, and the age and country of residence for the main driver. It will sort through the information and come back with a list of the options available. At the top right of the search results, you will find the option to add extras. 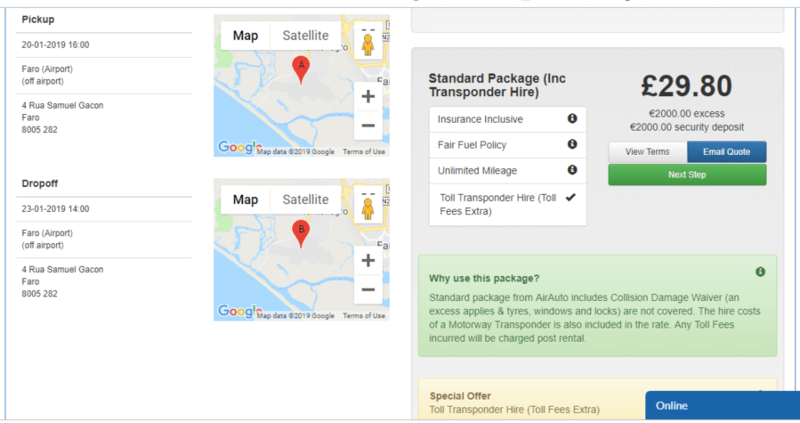 Here you can choose to add options like an additional driver, car seat, a navigation device, etc and have that included in your quote. Next, use the filters on the left to fine tune your results. 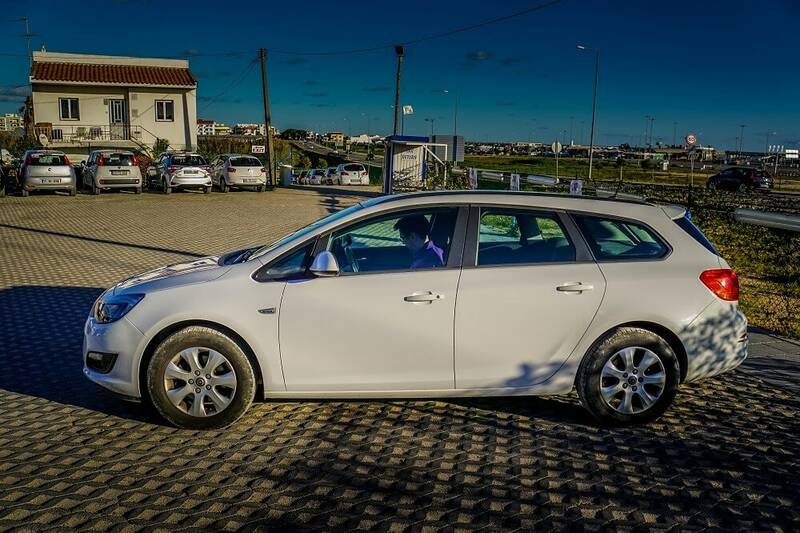 You have the option to narrow the results by choosing the size of the car, the number of seats, manual or automatic, the car rental company, fuel type, and more. They even have an option to filter by insurance excess amount. I don’t think you need to use that filter though because you can easily (and for not much more) add on a no excess policy through insurance4carhire.com later in the process. In the results, you will notice that Clarify shows more details about the rental than you see on other car rental websites. From the search results page, you can easily find out about the insurance excess, fuel policy, pick up information, and other terms and conditions. Click on the categories to see more information about any of the items. I didn’t realize it when I booked mine, but it even had specific details about where to meet the shuttle driver. Once you have chosen the car you want to rent just click on the view more button. From here, you can choose the package that you want. 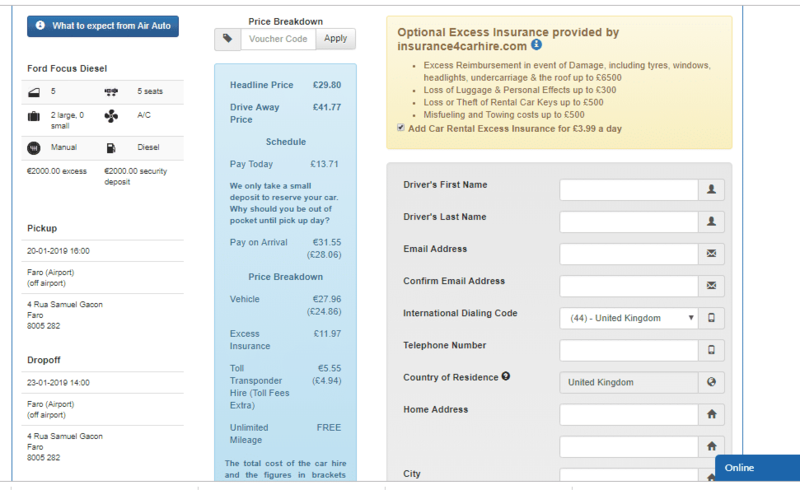 Don’t worry about looking for an option with no excess here because in a moment you will have the option to add on the policy from insurance4carhire.com. To choose the package you want to click on the next step button. Then it gives you the option to add extras (again) like an additional driver, navigation, car seat etc. Once you have decided on all that, click on book now. At the top of the screen, you will have the option to add on the zero excess insurance. Then put in all your details and click on book now. Choose the package you prefer and select next step. The additional insurance they offer is very affordable. Just click on the checkbox to add it. If you have any issues or questions when you are booking your rental car, there is an online chat where you can get help. 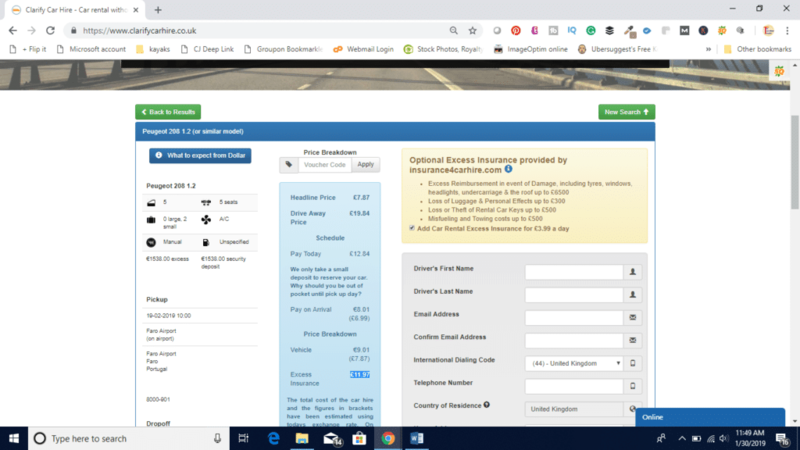 When you book your rental car through Clarify Car Hire, you pay a small deposit and the cost of the extra insurance if you bought it through insurance4carhire.com. You pay the balance of the rental cost when you pick up the car. Note even if you do purchase the zero excess insurance you will need to pay the deposit (which is usually equal to the excess amount through the car rental company). This deposit needs to be put on a credit card in the main driver’s name. If something were to happen to the car and you had purchased the excess insurance, the car rental company would take the money from your deposit and you will need to file a claim with insurance4carhire.com for reimbursement. AirAuto was the company providing our rental car. 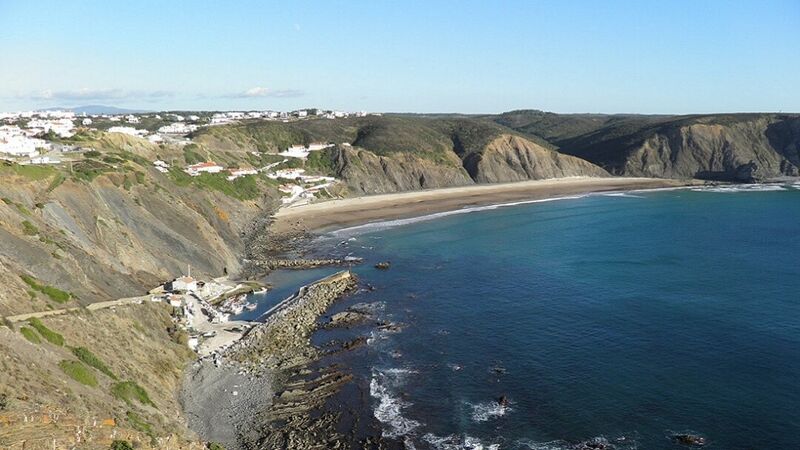 They are located a short distance from the Faro Airport. They have a shuttle that was waiting to pick us up and drive us to the airport. Since I didn’t realize the instructions to meet their shuttle was included when I booked it we just walked to their office. When we checked in, they requested Russell’s driver’s license and passport. They offered to add me as an additional driver for free. I thought it was weird since there was a fee for adding the driver online. Since I hadn’t expected to be driving, I did not have my driver’s license with me, so we declined. I asked Clarify Car Hire about this and they told me it was a very unusual “at the desk” upgrade. Car rental companies will usually ask about additional drivers and you can add it and pay for at the desk. If prices of extras like this change after booking, the rental car company is more likely to honor the terms at the rates quoted at the point of booking if you have included the extras when you reserved the car. I guess if you need extras and feel the rates for extras online are reasonable you should book it because the price could also be higher at the counter. AirAuto also asked us what we would like to do about insurance and I confidently responded we had our own. Then they asked for Russell’s credit card so they could take the deposit. Russell ready to drive our rental car. They asked us if we were taking any toll roads (the A22). I told them we would be and that we wanted the transponder. They told us we would hear beeps as we went through the automatic toll gates and then our credit card would be billed for those charges in a week or so. They also explained that the car had about ¾ of a tank of gas and so we should return it with about the same amount. It was also a diesel car, so they wrote down how to say it in Portuguese (gasóleo). That way we wouldn’t have any issues when it came time to fill up. Next, they took us to the car. We had reserved a Ford Focus Diesel or similar model, they had an Opal Astra for us. It is a similar size car so Russell was happy. They went around the car with us notating the spots that had minor damage. Then we were off! We had a great experience with our rental car. The car gave us the freedom to explore the area as much as we wanted to. There were more things to do within walking distance of our hotel than I expected so we actually used the car less than I thought we would. The car drove well and the ride was comfortable. We had a great experience with our car booked through Clarify Car Hire. When we returned the car to the AirAuto lot, they were there ready for us. As soon as we arrived they inspected the car and everything was fine. Then, we boarded the van for the short ride to the Faro airport terminal. The process of renting a car using Clarify Care Hire was very positive. Booking on the site may take a few more steps than other providers but it’s because you get more details. I felt more confident knowing exactly what was and what was not included in the rental price. The next time we want to rent a car whether we are doing a road trip or Portugal or somewhere else, we will be using Clarify Car Hire. It’s hard to compare the prices of Clarify Car Hire because in most cases it is not exactly clear what is included in the other quotes. For example on Priceline.com, I could not find details about the insurance levels provided, the gas policy, or how much it would be to add the toll transponder. The cheapest available car on Clarify was a Peugeot 108 1.0 (or similar model) from FireFly Rental. Its cost for the three days was £6.72 with an excess of £1,538. The cheapest available car on RentalCars.com was a Peugeot 208 or Similar from Firefly Rental. Its cost for the three days was £16.45 with an excess of £1,538. I found a Peugeot 208 1.2 (or similar model) from Dollar Rent-a-Car through Clarify Car Hire for £7.87 with the same excess. I could not find a Peugeot 208 with Firefly Rental through Clarify Car Hire. If you wanted to buy insurance so that you have no excess, then it would cost £11.97 through Clarify Car Hire (insurance4carhire.com) and £35.37 through Rentalcars.com. I know this is only one example so it not representative of rental car pricing at all times or in all situations. There are many factors that affect the price of rental cars. The difference is large though, especially for the insurance portion. Prices are always subject to change so you should use your best judgment to decide if you need to check prices on other sites. They like to say Clarification not Confusion. 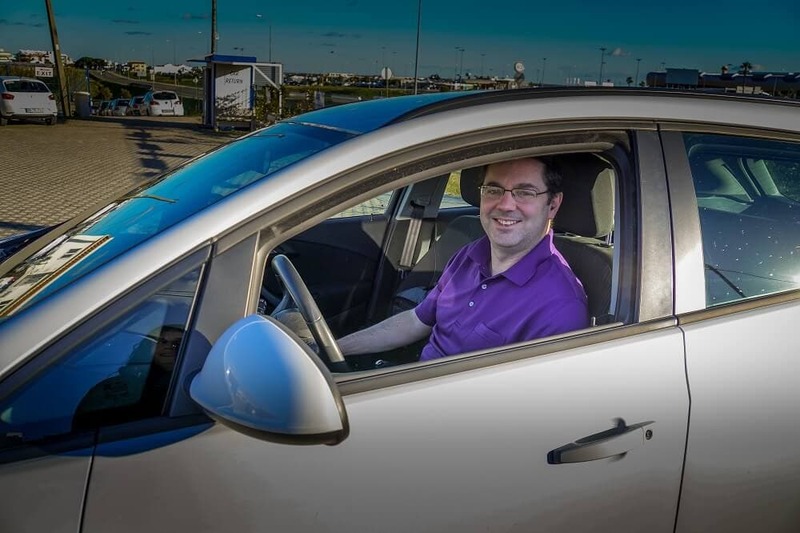 The company is part of the Moneymaximiser group of companies who have been helping customers avoid some of the worse practices in the car rental business since 2008. Clarify is based in Wokingham England. Currently, Clarify offers rental cars in Europe, the USA, Canada, Australia, New Zealand, and other many other key destinations. 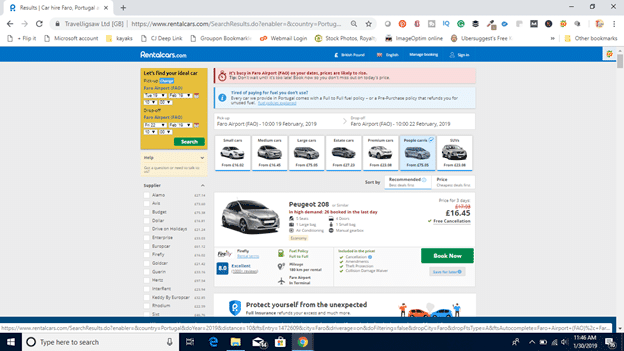 US residents can book international car rentals but Clarify Car Hire generally does not offer rentals within the US for those based in the US. 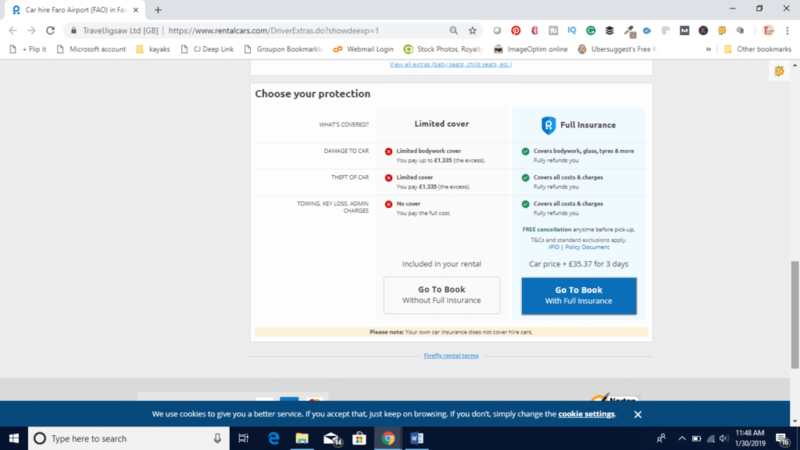 The reason is that their packages include insurances that Americans probably won’t need because they have the coverage from personal liability policies, their credit card, or their personal car insurance. Now until the end of February 2019, my readers can use the discount code TTEX05 to get 5% discount off the base rental amount. I love the approach Clarify Car Hire has taken. It is better to be informed in advance then be surprised when you are on your vacation. What do you think? Have you had any surprises at the rental car counter? Don’t underestimate the importance of car insurance! If there is anything you are not clear about with insurance coverage it is better to ask than make an assumption. Do a thorough check of the rental car for any damage before leaving the car rental lot. It’s a good idea to take pictures just in case. Download maps in advance so that you don’t need data to navigate around your destination. Disclosure: Clarify Car Hire provided our rental car so that we could share our experience with our readers. All opinions are our own. I am going to save this post for my future reference. Thanks for sharing everything in detail. I still do not understand why people pay for GPS when they have smartphones, any idea?! Thanks for this post, lots of good info here – we always take photos and even a video as you mentioned too, when we rent the car as I think “better safe than sorry”! The price is insanely cheap I will keep this company in mind as we tend to rent a lot ! Val – Some people just don’t know better! Definitely try Clarify and let me know how it goes. I hadn’t heard of Clarify Car Rentals before. It sounds like they’re a great company! There are so many car rental places nowadays, it’s hard to pick one! I also really like that they translated Diesel into Portuguese for you. That’s something not many people think to look up! Brianna – Yes, there are a lot of choices when it comes to rental cars. I was appreciative that they translated diesel, it is not something I would have thought to ask. Thanks so much for such great tips. I have actually never rented a car so this is super helpful. And good to know about things like not getting up sold on gas. Super helpful! 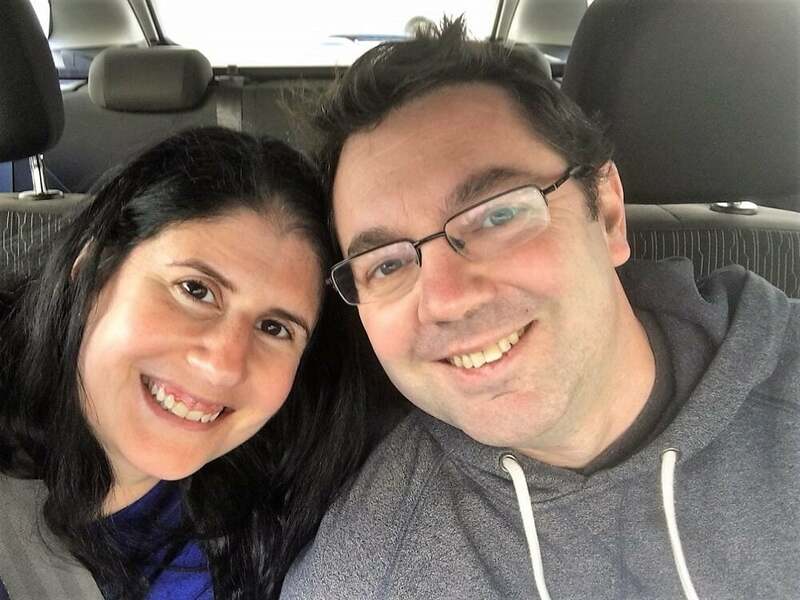 Kelly – Thank you! It can be overwhelming even to experienced rental car users. I tried to simplify the process as much as possible.